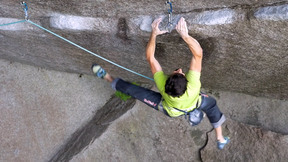 Honestly never realised there were other routes on this boulder. All I've ever seen are clips of different people on Dreamcatcher. 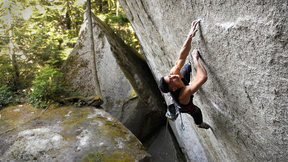 The Granite Life is a series unveiling the coolest climbing routes and problems hidden deep in the Squamish forest. 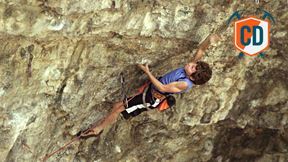 From Kilian Fischhuber attempting Chris Sharma's classic Dreamcatcher (5.14d) to Anna Stöhr powering through some of the valley's best problems, there are so many amazing lines here, climbed and unclimbed, that will test your strength, creativity, and nerves to the very limit. 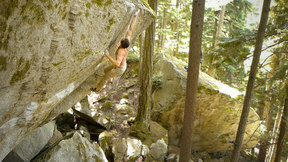 Come get inspired and get lost in the granite of Squamish. We're trawling every day to bring you the finest, freshest, and most frickin' amazing videos from the great big ocean of the interwebs. This is that line-caught, melt-in-your-mouth,100% sushi-grade goodness. Dig in!